Cameroon cuisine is noted for its versatility and variety, being influenced by the various settlers who came here like the Portuguese, who brought along with them cassava, maize, tomatoes, and hot peppers as well as the British. The French influence is also prominent in the country when it comes to food as some of their dishes also have omelet and French breads. In modern times, the country boasts of restaurants selling foods of all over the world like Chinese, Lebanese and Greek. 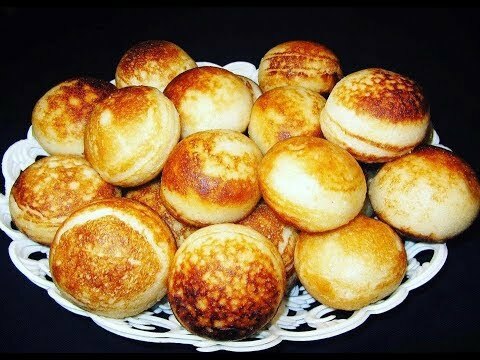 Let us check out the list of popular authentic dishes of Cameroon mentioned below. What is it: A vegetable soup prepared from finely shredded eru or okok leaves. 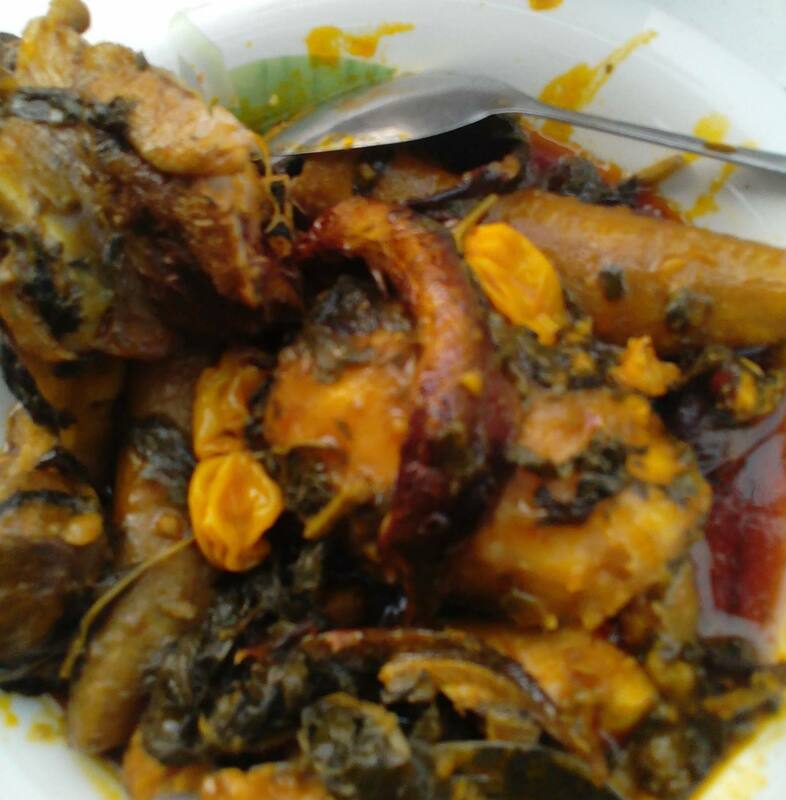 Other ingredients added to the stew include spinach or waterleaf as well as smoked fish and meat. What does it taste like Soft, smooth and starchy, eru makes for a highly nutritious meal. The addition of fish and meat makes it even more delicious. What is it: A pudding-like steamed delicacy having black-eyed peas as its main ingredient alongside spinach. 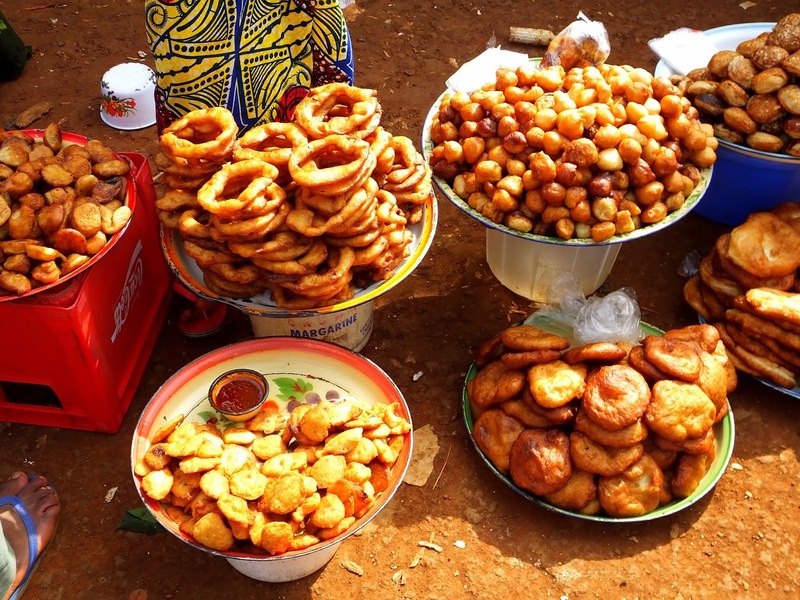 A sought-after street food of Cameroon sold in roadside stalls as well as restaurant or bars, it is also commonly served in weddings. Boiled plantains serve as a suitable accompaniment. What does it taste like: Every bite of it is delicious and delectable, with the black eyed peas giving it a moist and earthy flavor. 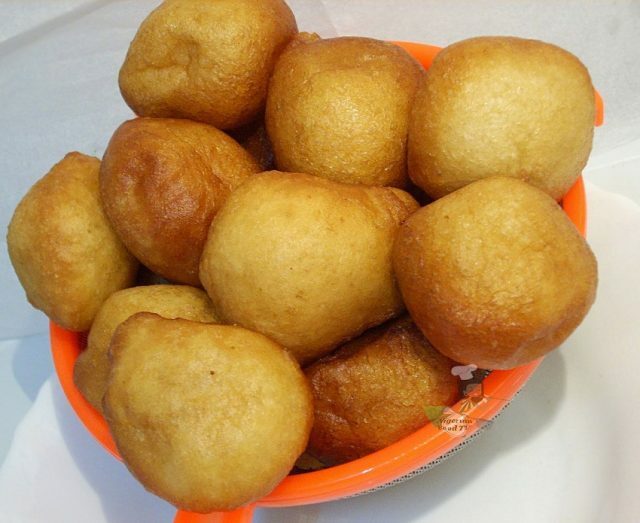 What is it: Another lip-smacking snack of Cameroon, eaten either as an accompaniment for breakfast or even for lunch and supper, it is deep-fried fritters having banana as its main ingredient along with flour, cornmeal and cassava. 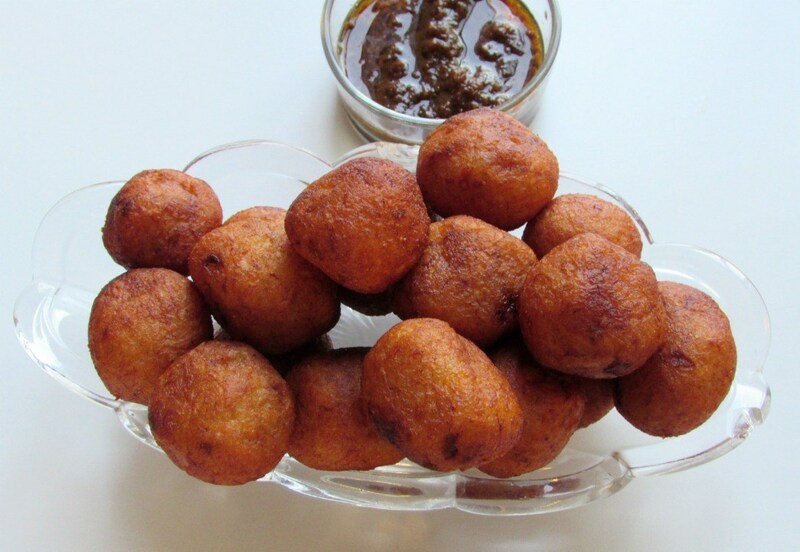 These fried balls are best when eaten hot with a spicy sauce. What does it taste like: Simply out of the world, as the crispy balls would have a sweet and nutty taste, while the addition of sauces could make it exceedingly spicy. 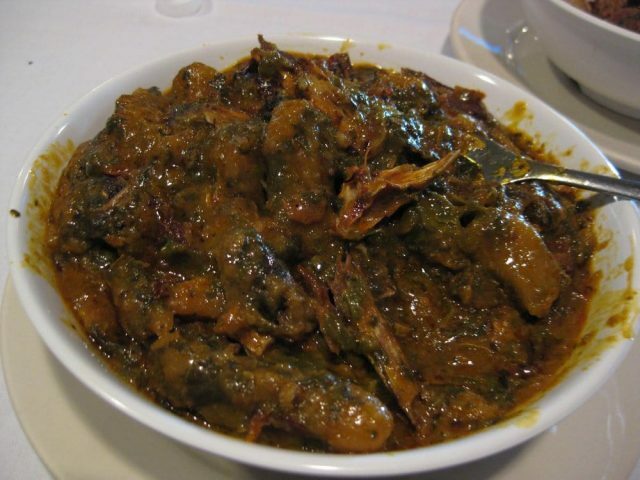 What is it: A nutritious dish prepared by wrapping grated cocoyam in leafy greens like cocoyam leaves or even spinach, collard greens and romaine lettuce and then cooking it with smoked meat, and fish as well as a host of spices. What does it taste like: Preparing it might be a little time consuming but the efforts are worth it. The nutty flavor of the cocoyam leaves would be dominant while the addition of meat and a whole lot of spices adds to its richness. 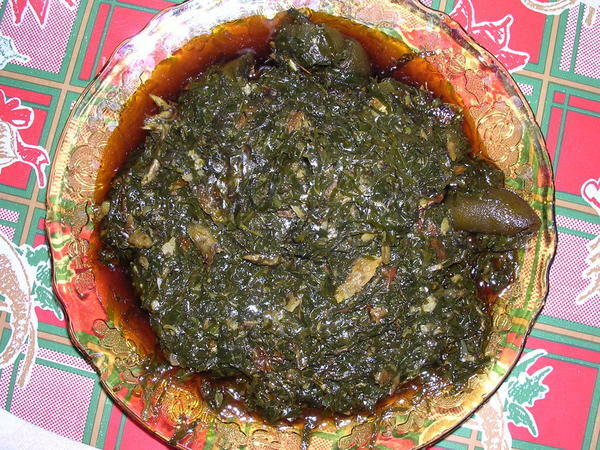 What is it: A delicious stew made from peanuts, spinach and ndole or bitter leaves. Shrimps, prawn, beef and crayfish are also included to enhance its flavor. 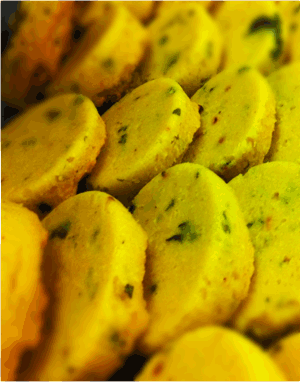 Often eaten as a side along with bobolo (a dish prepared with cassava) and other items, it is said to be the star of most parties. 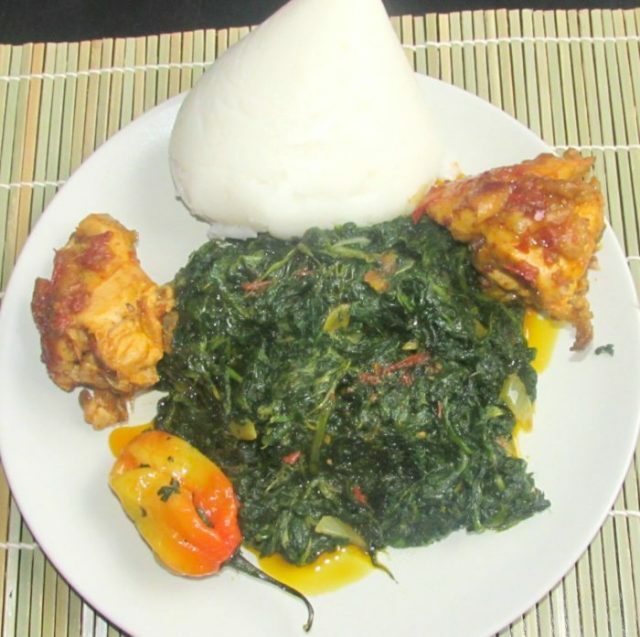 Its popularity has also made it Cameroon’s national dish. What does it taste like: The ndole leaves could give it a slightly bitter flavor, while the presence of peanuts would make it taste nutty. The addition of a whole lot of spices would however give it a sizzling taste. 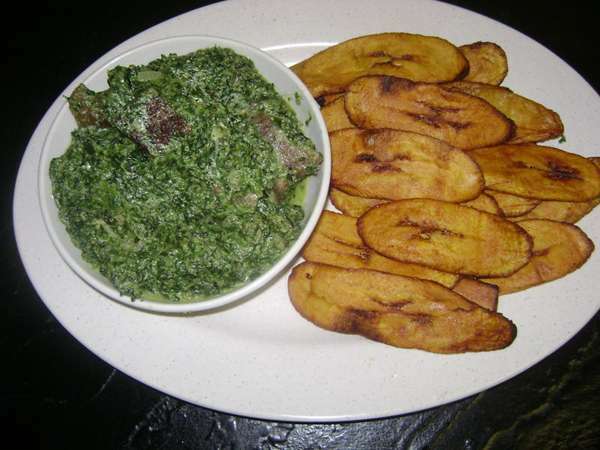 What is it: A mouthwatering dish prepared from plantain, traditionally eaten in Cameroon to commemorate the birth of a newborn. Myths said that this dish had plantain as the primary ingredient since the banana tree buried the umbilical cord of the baby. What does it taste like: Sweet, thick, and starchy while the addition of spices intensifies its taste. What is it: Fried balls, made from yeast, sugar, and dried beans seasoned with ginger, celery, garlic and parsley. What does it taste like: Crispy, tasty, soft and spicy, with the addition of sauces making it even more delicious. What is it: A vegetable stew prepared with leafy greens, tomatoes, onions, bouillon cubes and plenty of spices like paprika, habanero pepper, and cayenne pepper. It is mostly eaten with fufu corn, a kind of porridge prepared from corn flour and water. What does it taste like: The vegetable stew is pleasant and spicy with a tinge of bitterness because of the njama leaves, while the fufu corn might be a little bland but soft and fluffy. 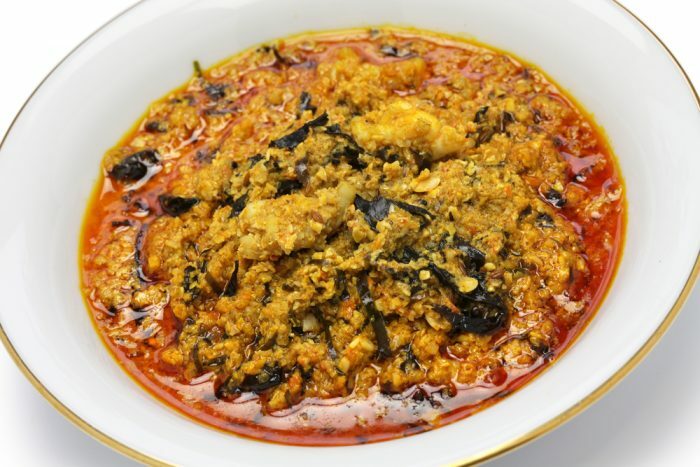 What is it: A thick soup made using ground melon seeds alongside leafy greens and okra. Adding meat and fish is optional, however, it would enhance the richness of this dish. It is best when served hot, with plantains, yams or bread being the best accompaniments. What does it taste like: This nutritious soup high in protein, has a mixture of tastes, as the melon seeds would make it sweet and nutty while the leafy greens could give it a slightly bitter and mild flavor. What is it: A sweet pancake or donut prepared with coconut eaten with a dip of caramel sauce. What does it taste like: Hard at the exterior, though the moment you bite onto it the fluffiness of the donut would simply melt in your mouth. The caramel dip would make this a toasty affair for you. So, if you are on a visit to this Central African country do not forget to pamper your taste buds with any one of the dishes mentioned here.